While the role played by freedom fighters was of utmost importance in securing freedom, role of our defense personnel, be it Army, Naval Forces or Air Forces is less to none to ensure that the fellow countrymen can stay safe. When our Defense forces are doing much for the country and its pride, it is our responsibility as civilians as well to do any bit possible from our side for the families of these great men who have committed their lives for the security and service of the nation. This Independence Day, we at Career Anna have taken a resolution to assist the kins of defense forces in a way where we could help them ensure a high growth professional career. 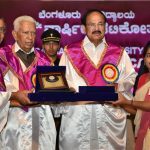 To ensure this, from 15th August 2018 – All the Career Anna Courses (Across segments be it Test Prep or Skill Up Certification Courses, Job Assisted Pro Degree Programmes of Skill Transformation Academy) would be available free of cost to the immediate families of any serving or ex-defense personnel. This shall remain as a lifelong feature on the platform and going forward, no member of the immediate family of any defense personnel would require to pay anything to learn and grow in their professional career on Career Anna. In this way, we aim at taking away the burden of high coaching fee, high skill up fee and other costs as in today’s world cost of education is high and at times there are many who get behind because of the associated expenses. With over 150 programmes and courses offered at Career Anna delivered by over 100 world class educators, we are sure that this initiative by us would help us to achieve the objective of bringing smiles to the defense personnel by catalyzing a high growth career for their kins. We salute all the defense personnel for their impeccable and priceless contribution to the country. We thank them for giving us the today where we could live safely in the country while they dedicate their lives for the country at the border.